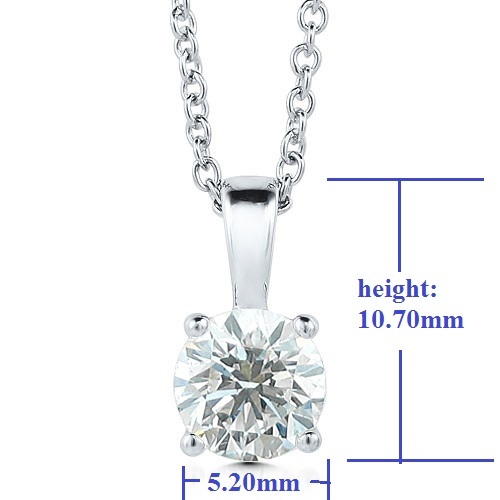 This gorgeous diamond necklace is suspended on a 4 prong setting with a round brilliant cut diamond. A 14k white gold cable chain completes the stunning look. A glorious round brilliant cut natural diamond sparkles beautifully from an elegant four-prong 14k white gold basket setting. The prong setting allows for greater light flow beautifully into the pavilion of the diamond to maximize the brilliance and fire of the magnificent gemstone. The four-prong setting not only glorifies the dazzling diamond but also securely holds the diamond at the same time. 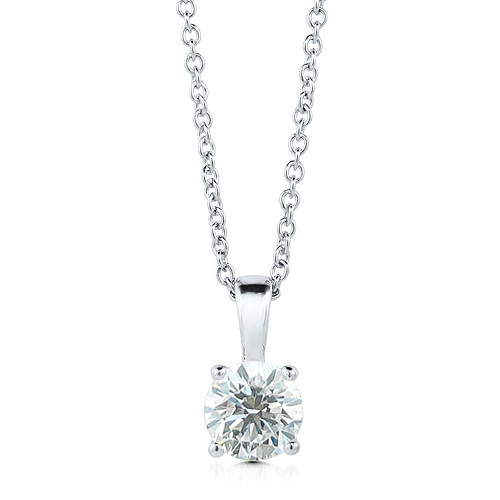 This classic solitaire diamond pendant dangles beautifully from a delicate 18-inch white gold cable chain. Adorn your neckline with this gorgeous diamond necklace. 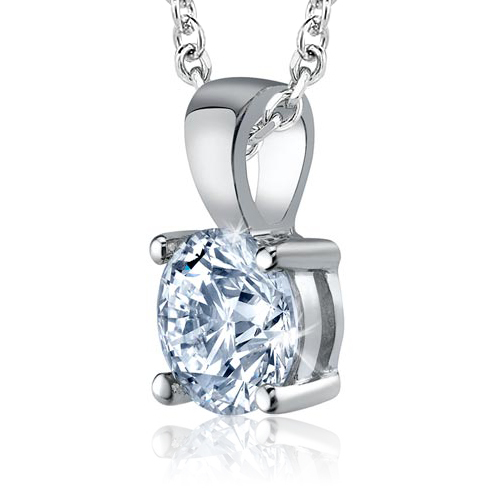 This solitaire diamond pendant is perfect jewelry for any outfit and gift ideas.